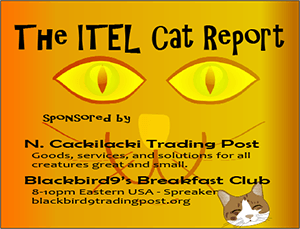 John Kaminski – ITEL – 8.25.18 | Inside the Eye - Live! 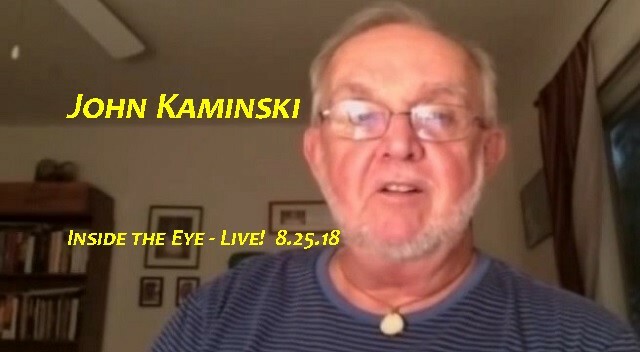 Long time friend and Internet essayist extraordinaire John Kaminski returned to Inside the Eye – Live! on Saturday, August 25, for a special 2 hour conversation. 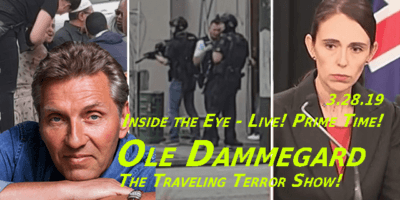 The show marked the close of Inside the Eye – Live’s run from Amman for the summer of 2018. 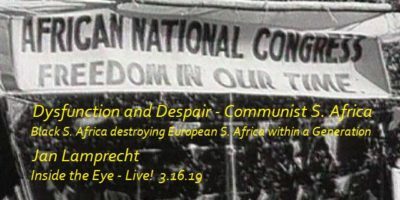 As is always the case when Fetch and Kaminski get together, the conversation covered a large number of topics. One of John’s primary interests is raising awareness of the growing number of people being jailed for simply speaking out against the rising number of individuals who have been jailed for having the audacity to speak out about Jewish machinations or against Jewish fiction being sold as historical truths. Jez Turner, former head of the London Forum, was sentenced to 12 months in prison for simply speaking truthfully about the rise of the Shomrim, a private Jewish police force paid for by the British taxpayer and operating largely out of the purveyance of British over sight. Alison Chablos, an entertaining in the UK, escaped jail time after being PRIVATELY charged by what looks like a Jewish stalking and harassment operation known as “The Committee Against Antisemitism, while Monika Shaefer has been detained indefinitely for sharing a video on Youtube where Monika apologized to her deceased mother for being so harsh to her mother for “not having done more to help the Jews”. The list goes on. Although there are no official figures yet released, it is believed that Britain is arresting up to 9 people per day on charges crafted by Jewish anti free speech legislation. If true, Britain is staring at housing literally thousands of political prisoners, held primarily for voicing political views that Jews have deemed unacceptable. Quite a bit more as you can expect in this 2 hour interview.